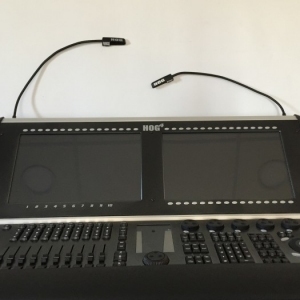 Console, 2 desk lamps, power cable, console cover and case. 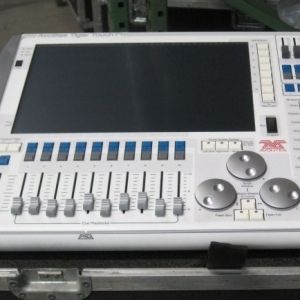 Measuring just 625mm by 580mm it fits comfortably into even the smallest of FOH control positions. 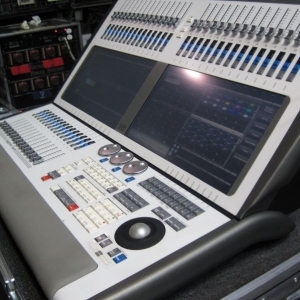 With its large in-built colour touch-screen there is no need for external Monitors - the control is at your fingertips. 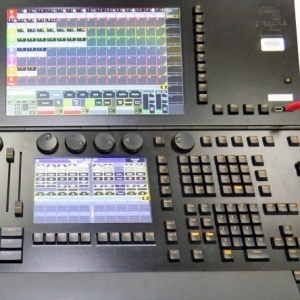 Each of the ten theatre style playback controls is electronically labelled to show the current and next steps in the Cue Stack. Eight improved style rotary encoders make controlling individual parameters simple. 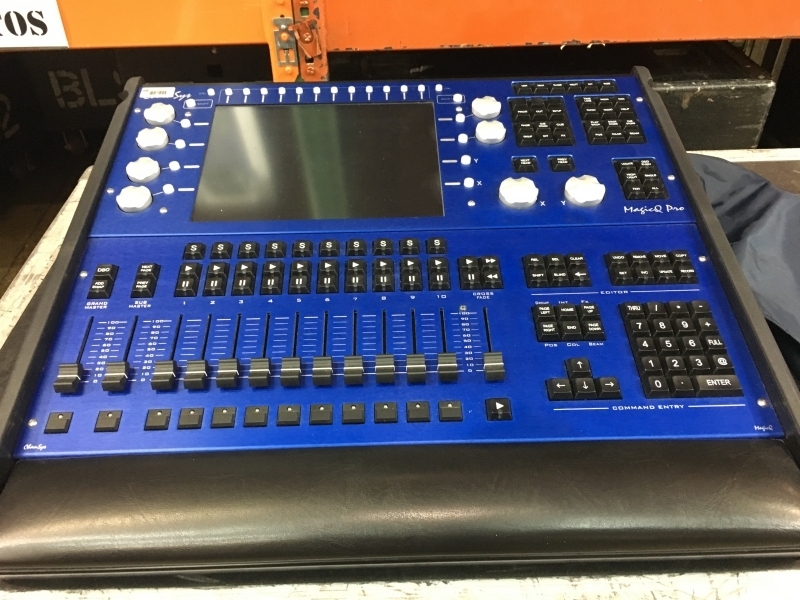 MQ100 supports effortless playback of pre-programmed shows whilst allowing instantaneous over-ride via the powerful MagicQ programmer for "busking" those unexpected moments. 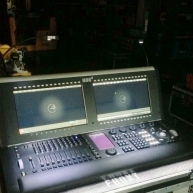 MagicQ MQ100 Pro provides an ideal starting point for the Lighting Designer. 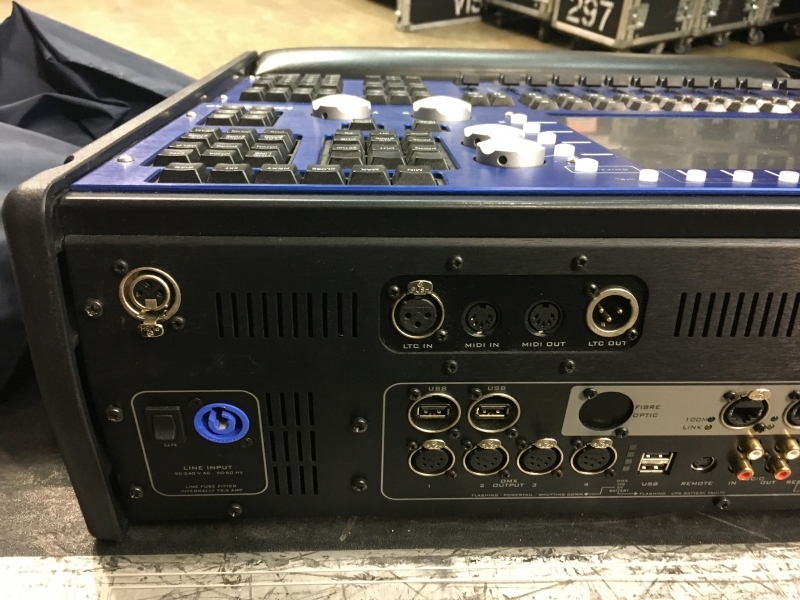 With access to up to 202 playbacks through virtual playback controls the MQ100 can handle even the most complex of shows. 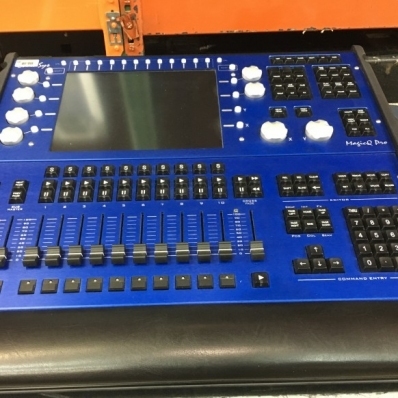 And should more playbacks faders be required for a particular show, just connect one or more MagicQ Playback Wings to any of the 4 USB ports. 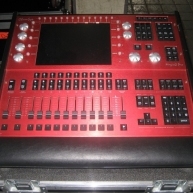 MagicQ MQ100 Pro - Chamsys MQ100 Pro2010. Excellent condition. 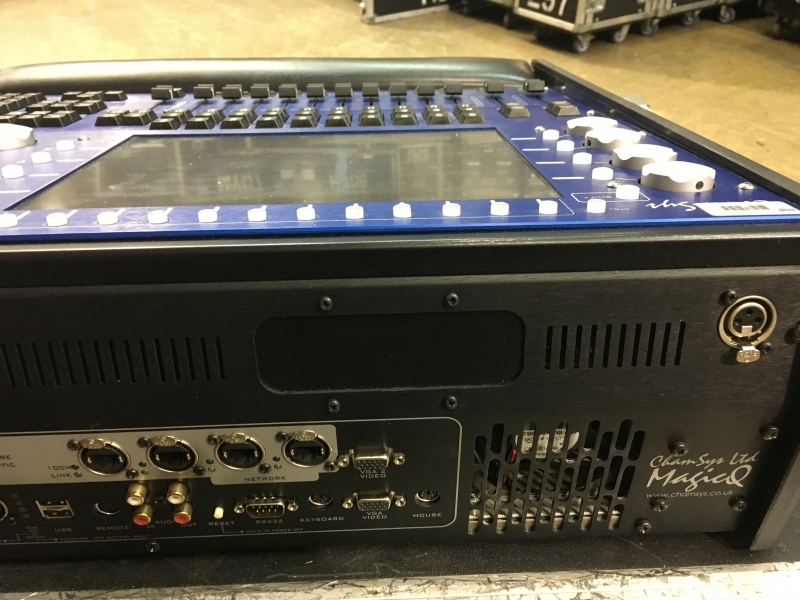 MagicQ MQ100 Pro - Used on various tours. In excellent condition. Comes with a 30 day warranty. 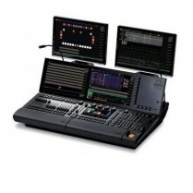 MagicQ MQ100 Pro 2010 - Used on various tours and in a theater. 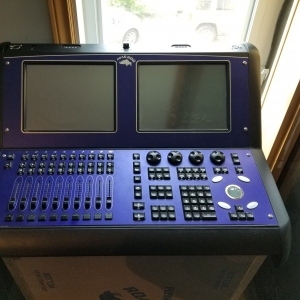 MagicQ MQ100 Expert - MagicQ MQ100 Pro in excellent condition. 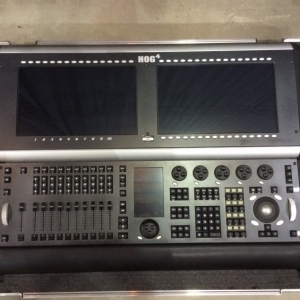 MagicQ MQ100 Pro - MagicQ MQ100 Pro in excellent condition.